Since I am kind of on a diet (difficult for a food blogger) and was eating A LOT of salad while detoxing, I had new found love for salad bars. Diet, detox, eat healthy, juice cleanse, jian fei… these are the buzz words during the earlier months of the year when the motivation to lose weight is still high, and a New Year Resolution to tick off. Other branch: Asia Square Tower 1 Food Garden. 8 Marina View, #02-02. Tel: +65 65350277. WHEAT, previously known as Wheat Baumkuchen, has reopened at the basement of One Raffles Place. 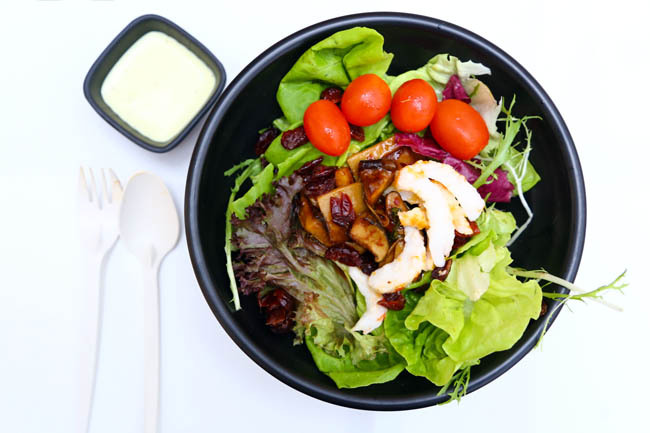 This remains the favourite of many lunch time crowd goers, who praise their healthy sets of soba noodles, brown set sets and salads. They also offer Shirataki Noodles, which gained some traction in Singapore for having low calorie (almost close to zero) and no carb. 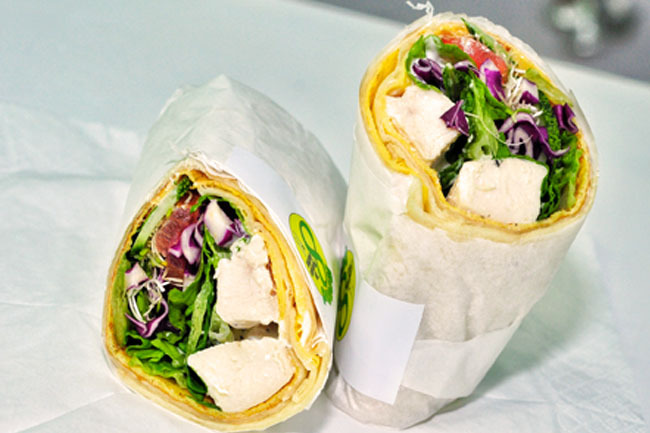 Not exactly new, but I think Meat and Green deserves a mention for its inventive variety of salads and wraps. Priced between $10 and $12, there are local inspired items such as Chicken “rice” (no rice, but there is still the chilli and garlic), Pulled Pork Bakutteh, Beef Curry and Lamb Vindaloo. Spicy and fun! Well hidden in the basement of Orchard Central, there are some of the usual selection along with the interesting sounding Thai-inspired Tom Yummy ($9.90), Mona Laska ($9.90) and Chilli Crabby ($8.90). The shop also sells sweet crepes. One healthy, the other… a guilty treat. A vegetarian restaurant. 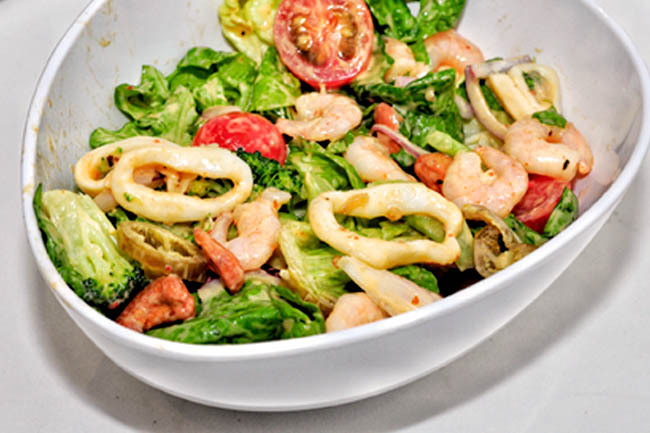 Choose 4 toppings (even the prawns you see are vegetarian) served on a bed of lettuce for $6.50. The service here is friendly and more ‘heartland’. Bento sets, noodles, mushroom pots and desserts are also available. 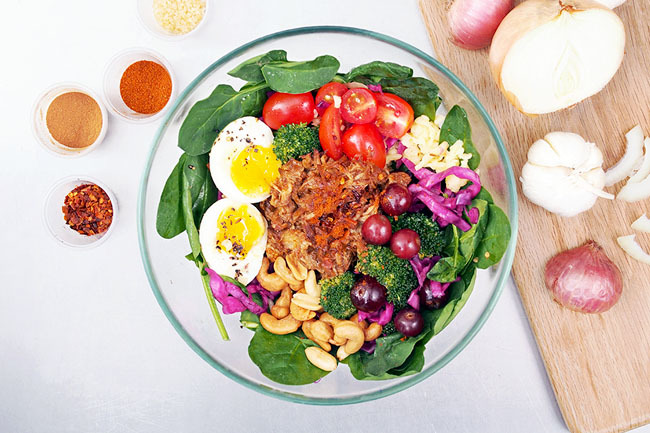 DIY salads, wraps And greens. At Tai Seng. 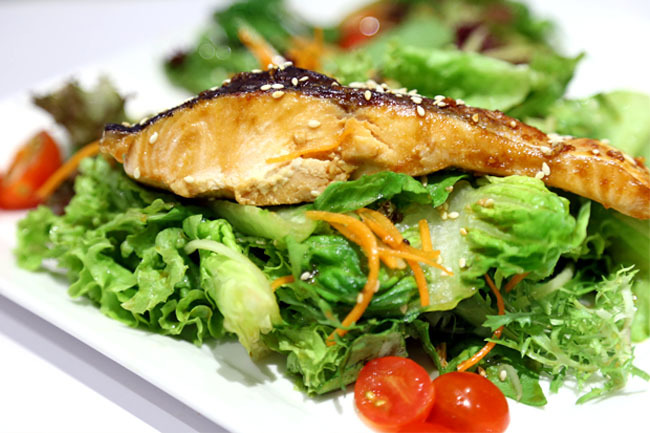 Signature salads include Seafood Galore – calamari and cajun prawns with sambalnaise dressing ($9.90), Salmonlicious – smoked salmon with wasabi miso dressing ($9.90), Shiok Tuna ($8.90) and Greek Apple ($7.90). Who would expect 2 salad shops side by side at industrial area Tai Seng? 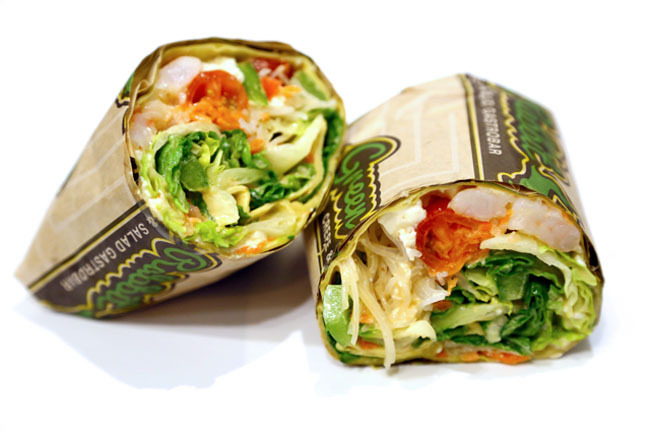 Round 8 serves salads, tortilla wraps, savoury non-dairy soups, and cold pressed juices. Try the chicky chix with truffle mayo sauce. Not a bar, but a salad delivery service. 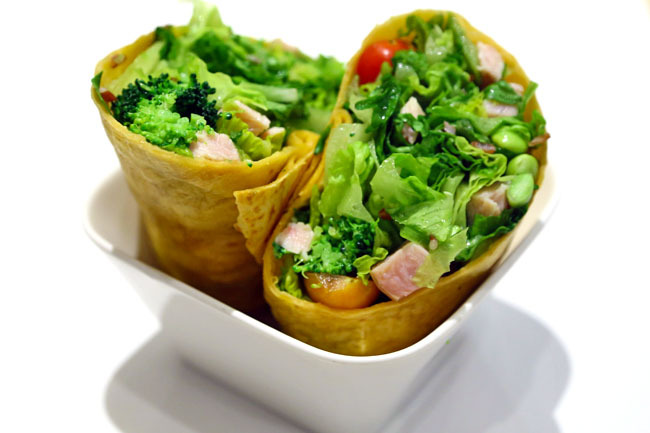 Spinacas offer 5 meat options and 2 vegetarian options with fixed salad base using locally sourced produce daily. Orders have to be placed 24 hours ahead and are delivered from 10:30am to 1pm, and 5pm to 7pm from Mondays to Fridays. 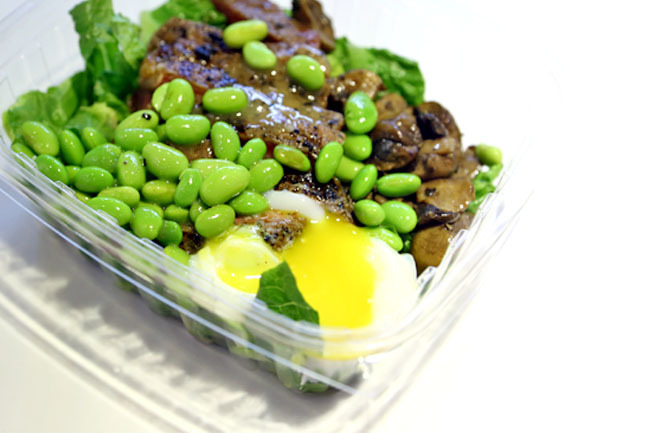 Customers can also pick up their salads from the commercial kitchen in Pearl’s Hill Terrace. The minimum order is $30 and delivery is free. Delivery to desk. Signature items include BBQ Pulled Pork, Moroccan Spiced Chicken, Home-made Pork Balls, and Vegetarian Ratatouille. There are many other new salad bars. The Rabbit Hole (One Raffles Place), Saladicious (Shaw House Food Republic), Shinkansen (Raffles Place Ocean Financial Centre), Foodology Fresh (The URA Centre), Salad Works (JEM), Salad Monster (Shenton Way), The Crowded Bowl (Republic Poly) were in my radar. Any new Salad Places you know about? Seems like they have been around since 2013? Green Rabbit has the potential to become big in Singapore, it just seems to have the right kind of brand. Their salads/crepes have good names too. 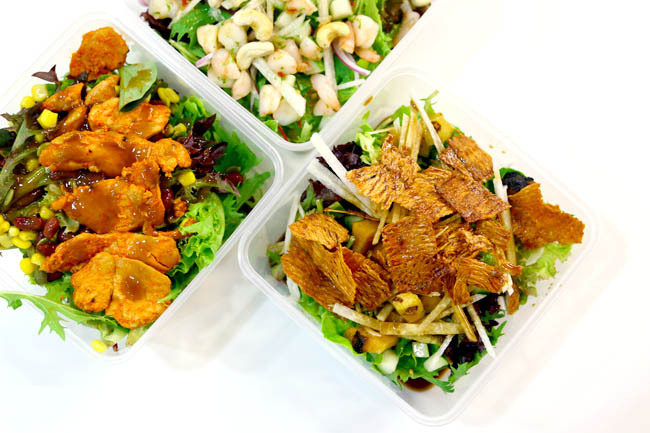 Jia you on your detoxing endeavours – it must be really difficult for you (+ it is CNY period)! Hi there! Is there any salad buffets to recommend? 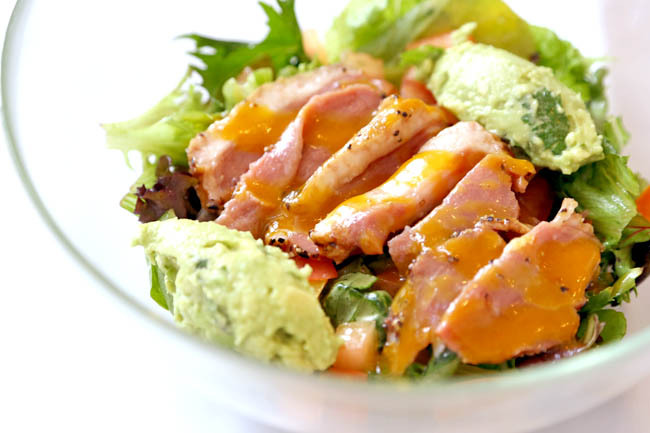 What about Krazy Salads Bar @ Toa Payoh? 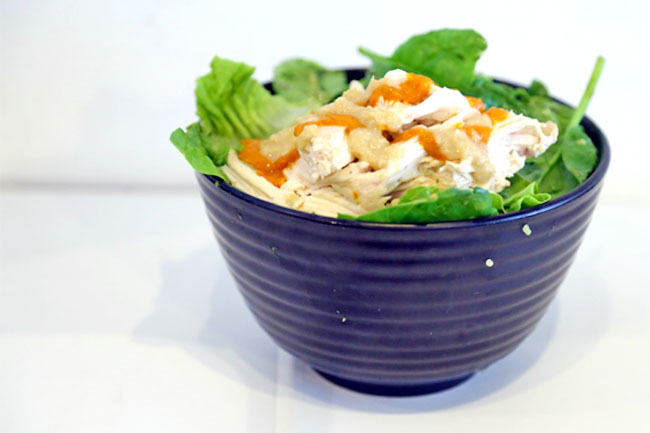 Great salads !Tasty plus healthy too….check it out. If Daily Cut’s price point is too high, you can check out Omnivore. Very very similar selections, larger portions and cheaper! A regular bowl goes for $9.90.